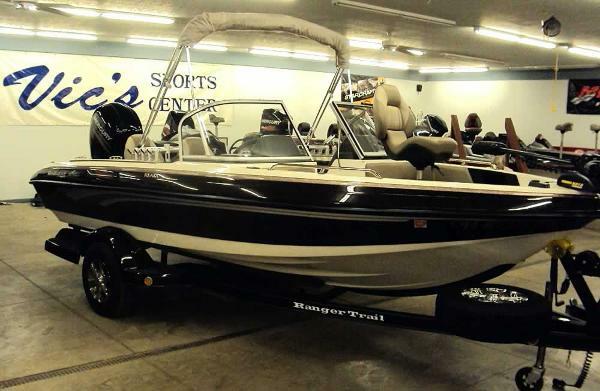 2000 RANGER BOATS 520vx Comanche 2000 Ranger 520VX Comanche Mercury 225 EFI Outboard Rangertrail Tandem Trailer M1 Tournament Edition MANY NEWER UPGRADES on this M1 Tournament Edition Ranger 520VX Comanche. 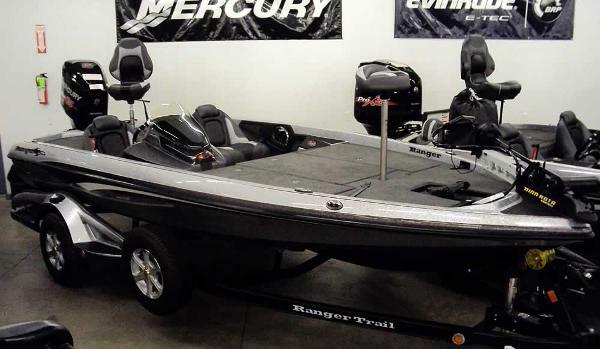 Dual console for maximum comfort & storage Mercury 225 EFI Outboard UPGRADED: Minn Kota Fotrex 112# 36V US2 trolling motor UPGRADED: Ranger Professional Series Quad Pro 4×15 Charger Three(3) Sears Platinum trolling motor batteries UPGRADED: Lowrance HDS-7 with GPS (RAM at bow) UPGRADED: Lowrance HDS-7 with GPS (RAM at console) Lowrance Structure Scan Garmin FishFinder 240 flush mounted at the bow Starboard front deck rod storage Two(2) large front deck tackle storage compartments Port side rod storage compartment Passenger rod ramp with organizer Upholstery in very good condition Rear deck cooler (just behind the seats) Two HUGE rear deck storage compartments Tournament livewell on rear deck 1 Ranger folding fishing seat, 1 bike seat Dual fuel tanks Hambys Keel Guard RangerTrail Tandem Trailer Features Trailer hitch, winch, jack fiberglass fairing Tandem axle with single axle brakes Matching fiberglass fenders Swing-away tongue Aluminum wheels & matching spare Retractable tie-downs Contact Vics on this 2000 MI Ranger 520VX Comanche Stop by today, this boat is in our showroom! 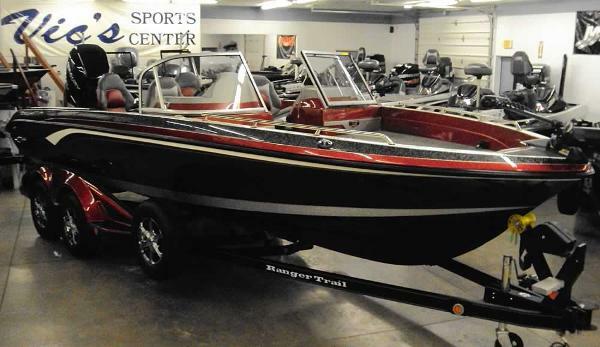 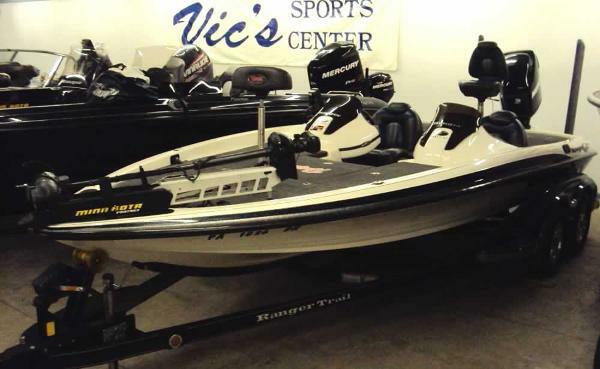 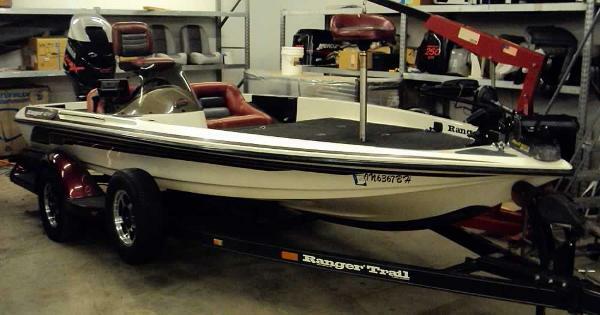 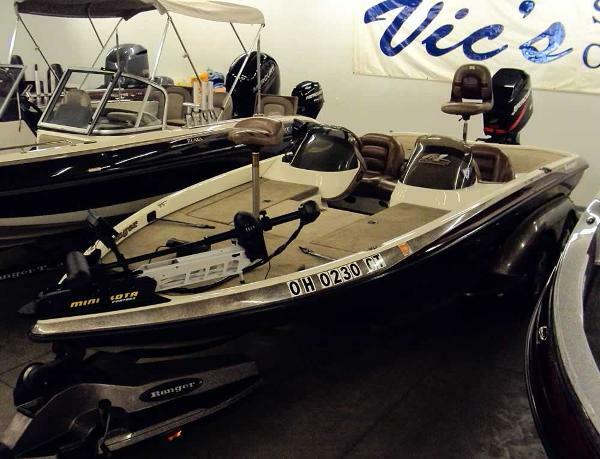 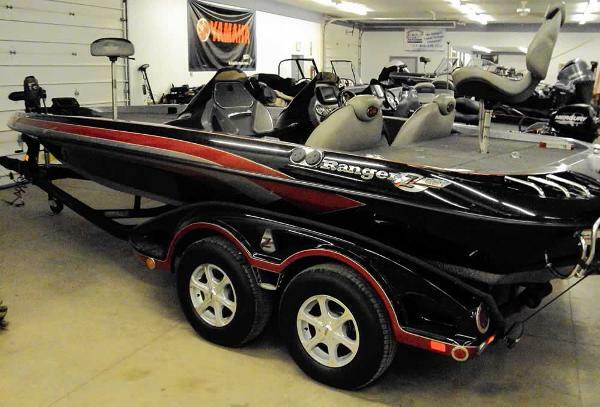 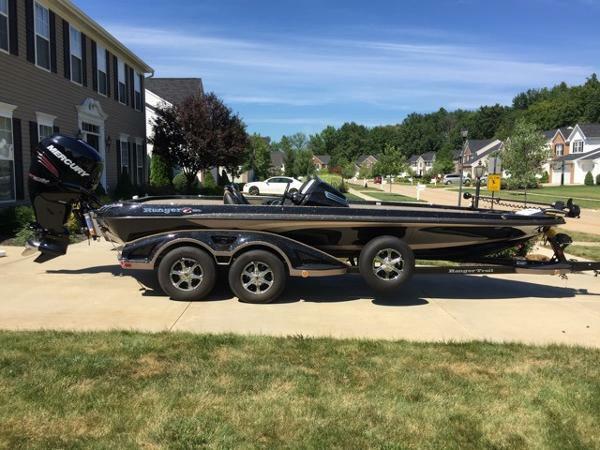 1997 RANGER BOATS 461VS Comanche 1997 Ranger 461VS Comanche Yamaha 175-hp VMAX HPDI Rangertrail Trailer Single console design for maximum fishing space Yamaha 175-hp VMAX HPDI (Trophy prop, Skeggard) CMC Power Lift hydraulic jack plate Minn Kota MAXXUM 80# Tilt Tiller with extension handle Humminbird 787c sonar with GPS on RAM at the bow Humminbird HELIX 7 sonar GPS on RAM at the console Front deck extension with storage compartment Forward front deck tackle storage compartment Port front deck rod storage with organizer Starboard front deck storage compartment Starboard front deck cooler / wet storage Passenger rod ramp Rear deck tournament livewell Two(2) rear deck storage compartments Rear battery compartment Minn Kota MK315 3×5 charger Upholstery in good condition Ranger bike seat on a hydraulic pedestal Ranger folding fishing seat on hydraulic pedestal Hambys Keel Guard Hydraulic steering RangerTrail Trailer Features Single axle Disc brakes Swing-away tongue Fiberglass fenders with integrated load guides Aluminum wheels with matching spare * Click here to contact us about this Ranger RT178 * Stop by today, this boat is in our showroom! 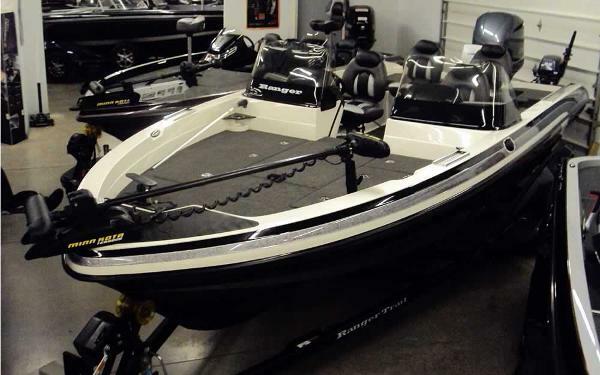 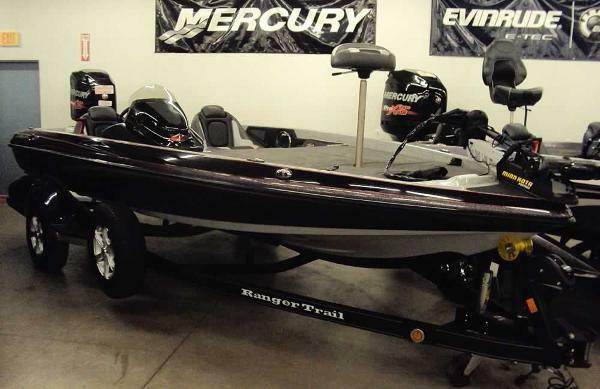 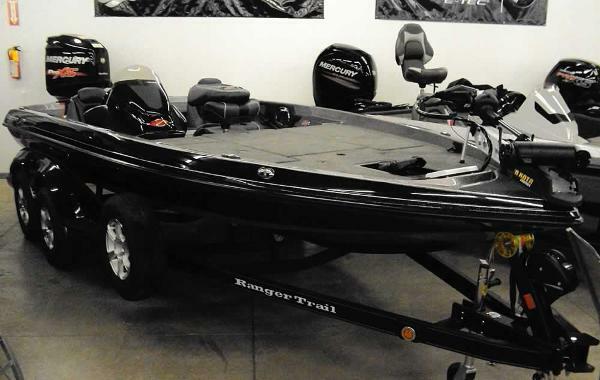 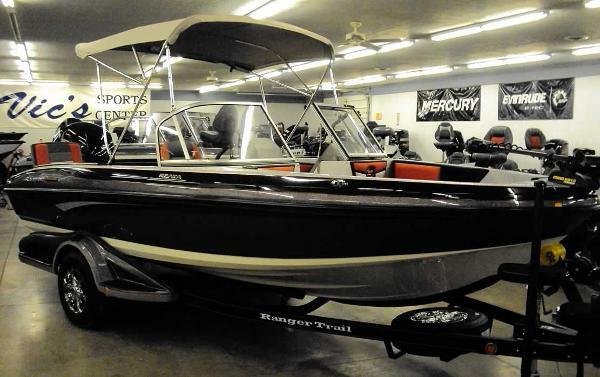 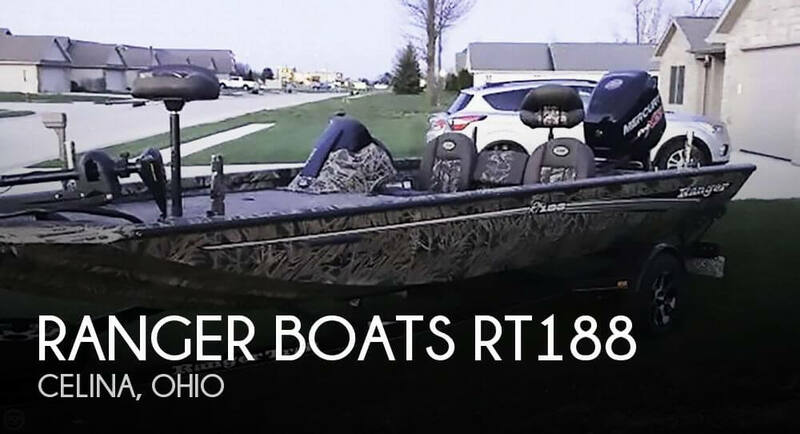 2013 RANGER BOATS 621VS Fisherman 2013 Ranger 621VS Fisherman Yamaha 300-hp Four Stroke Yamaha 9.9 HT Tiller Kicker Rangertrail RoadArmor TrailerDual console with vertical windshieldsYamaha 300 Four Stroke MotorYamaha Digital Command System GaugesYamaha 9.9 Four Stroke High Thrust tiller kickerMinn Kota Terrova US2 trolling motor with I-Pilot & remoteLowrance HDS-10 with Insight USA flush at the dashLowrance HDS-10 with Insight USA at the sternLowrance Structure ScanLowrance LVR-880 Marine VHF RadioSony Marine Media & Satellite RadioRanger Professional Series Quad Pro chargerRecreation Series 1×6 chargerFront & center rod storage compartment with organizerVertical rod storage holders along rear livewellFront deck port side coolerFront deck dry storage – both sidesFront deck baitwellRod holder tracks on front deckRod holder tracks in cockpit areaPassenger rod rampSpacious glove box storageRear deck livewell with OxygenatorRear emergency boarding ladderFour (4) folding fishing seatsHamby’s Keel GuardPanther Skeg Guard on big motor RangerTrail Tandem Trailer FeaturesTandem axleBrakes on both axlesAluminum wheels & spareSwing-away tongueFront loading stepTrailer parking brake* Click here to contact us about this Ranger 621VS * Stop by today, this boat is in our showroom!